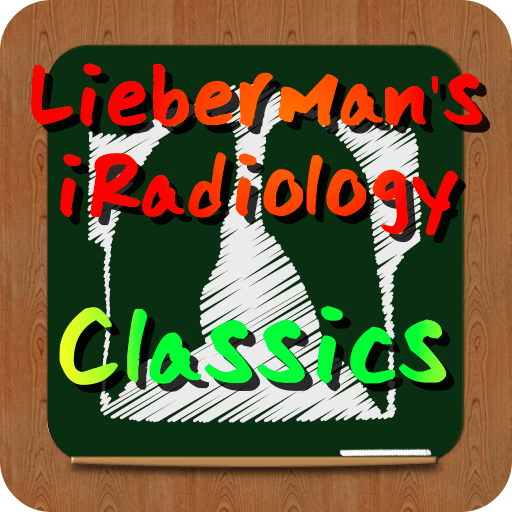 A catalog of over 500 radiology cases designed to help medical students and residents improve their plain film, CT, and MRI reading skills. An interactive book designed to help radiologists and clinicians and others understand abdominal imaging through clinical data sets and images. Series of teaching files designed for medical students, radiology residents, and other physicians that allow the user to simulate reading CT scans at a PACS workstation. An educational app that times the user through the pathology, diagnosis and mutliple choice question on each image given. Over 300 searchable guidelines from the Royal College of Radiologists (RCR) with many features to help health care professionals determine the best imaging intervention using evidence and expert radiological opinion. Reference guide for radiologists, residents, med students, radiology technologists and students. This is the free introductory version. Even more features than the introductory version including charts and calculators.